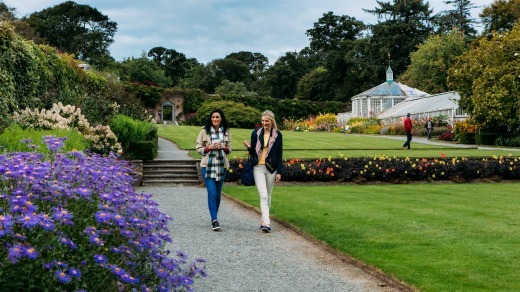 Few cities are as synonymous with a product as Waterford in south-east Ireland. The renowned crystal maker was based there from 1783 until 2009, when its owning company, Waterford Wedgwood, went into receivership. Hundreds of manufacturing jobs were lost and tourist numbers dwindled. As Phil Brennan, owner of Waterford Camino Tours, puts it: "The city went through some dark times but it's starting to come out the other end." In an attempt to lure people back, the company's new owners unveiled an impressive new visitor centre in 2010. 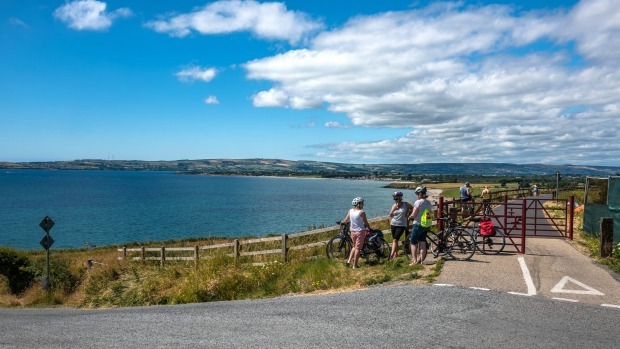 It helped but arguably the biggest boost came from the opening in March 2017 of the Waterford Greenway, a 46-kilometre cycle path that follows a disused railway between Waterford and the coastal town of Dungarvan. It's an unusually warm summer's day when I meet my guide, Michael Garland, outside Waterford's Athenaeum House Hotel. Despite arriving on a flash lightweight racing bike and being clad from head-to-toe in Lycra, he assures me the route is a flat and leisurely ride. The greenway currently begins just outside the city, which means our first few kilometres are spent in rush-hour traffic on busy streets (there are plans to extend it into the city centre). However, this is quickly forgotten when we reach the official start point and are greeted by a smooth, runway-flat piece of tarmac that unfurls invitingly into the countryside. Initially, the route skirts the River Suir, a wide, brackish waterway bordered by a gentle, tidy landscape of neatly tended fields and hedgerows. Cormorants and herons stalk salmon from the riverbank while a buzzard circles against a cerulean sky. It's one of those balmy, still days that makes cycling seem like an effortless joy. We pass the remnants of a medieval watch tower, one of a succession of 12th-century lookouts built by the Normans as an early-warning defence system. The best-preserved example is Reginald's Tower in the heart of Waterford, which holds the unflattering sounding accolade of being Ireland's oldest urban civic building. 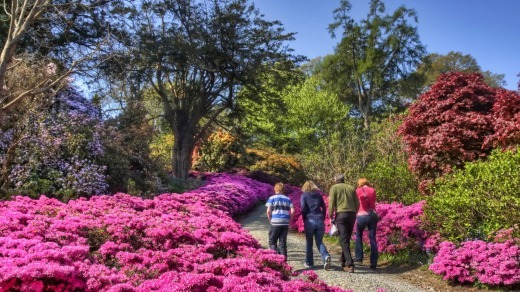 We don't have time to stop at Mount Congreve, an impressive Georgian riverside estate but green-fingered types should call in to explore its 28-hectare garden, which includes a renowned collection of more than 2000 rhododendrons. Before the greenway was developed, a 10.5-kilometre section of the old railway track was restored to create the Waterford & Suir Valley Railway, a volunteer-run heritage rail service. The cycle path runs parallel with the track and on the way we pass a bright purple engine towing a carriage full of grinning school kids. At around the 22-kilometre mark, we stop for a latte at Coach House Coffee, a former workhouse on the outskirts of Kilmacthomas that's been converted into a delightful cafe. According to Garland, this small town was "dying a death" before the greenway attracted a fresh influx of visitors. Between March and December 2017, more than 250,000 people used the new trail. 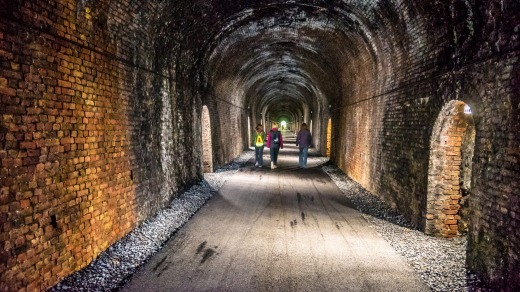 Highlights during the second half of the ride include two towering limestone viaducts, a brightly muralled underpass and a 400-metre-long brick tunnel whose atmospheric, fern-lined approach is decorated with dozens of cute wooden fairy doors. A fresh, brine-infused breeze heralds the coast and we sweep into the port town of Dungarvan to find a quaint stone-walled harbour dotted with yachts and fishing boats. It's an appropriately picturesque finale to what's been a leisurely and unexpectedly diverse ride. In time, perhaps the region will become as famous for its greenway as it is for its glassware. Rob McFarland was a guest of Tourism Ireland.